6 years 44 weeks ago. 7 years 32 weeks ago. Need to Host your Vanilla Forums Forum? A problem with Vanilla Forums? 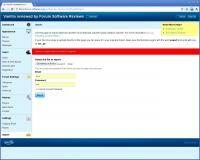 Vanilla is a really simplistic forum software based on queues of messages. New discussions appear on top, and stay there if they are popular, or can be manually sunk in the stack if its author wants to. This kind of forum software is usually always simple to use and understand: no sub-categories, no big bordered layout... only the content counts. 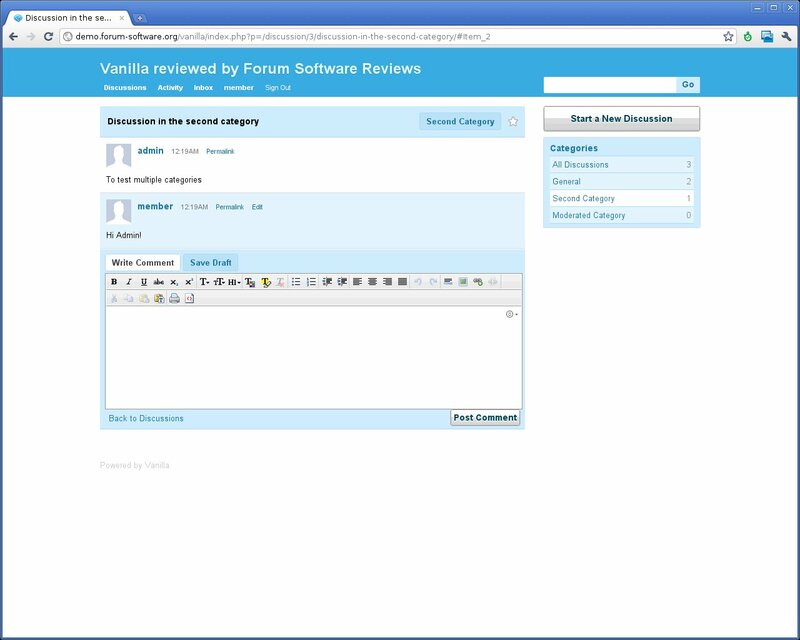 Vanilla Forums is used by more than 414,000 communities today, including the VanillaForums.com hosting. Vanilla can be installed in two clicks (a bit more, but we are really optimistic), and, most of the time, the only important settings you have to define are the database login/password, and your own administrator account. 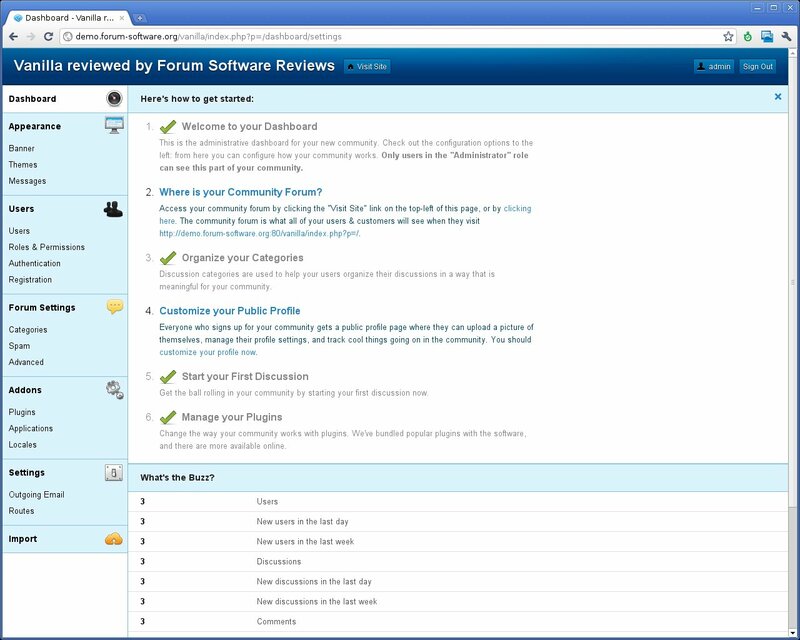 If this still looks too complicated or you are too lazy, you can leave your forum in the cloud by asking to the dot com version of Vanilla Forums to get a free hosted forum. Let's details everything in this review. 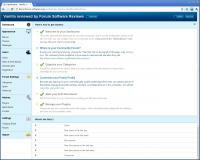 January 7, 2011: Big update of the review with Vanilla 2.0.16. April 24, 2009: First Review of Vanilla 1. Vanilla Forums is recommended for Medium Community. Languages supported by Vanilla Forums. Additional locales could be downloaded at Vanilla Forums Repository. Vanilla is a standard LAMP application, nothing special here, except maybe that installing it was a real pleasure, that we rarely encounter. Just to point this out, notice that the Vanilla Installation Gallery only contains... 2 pictures! 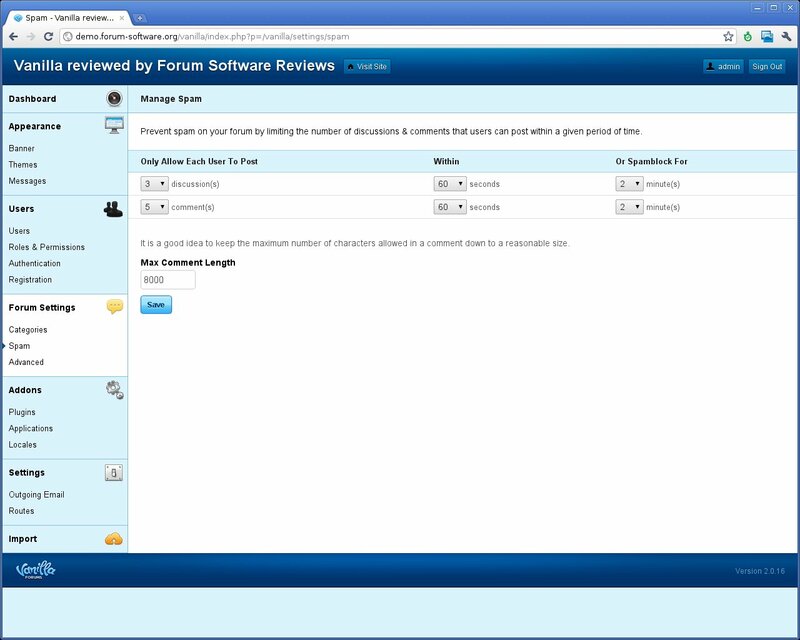 Vanilla forum scales automatically its size depending on the hardware you are using, either it is a smartphone, a tablet or a traditional desktop computer. No need for (non-free) third-party application, it is available out of the box, thanks to a good support of Web standards regarding device screen sizes. Upload via Advanced Attachments. Images can be placed in the flow of message text. By default, you will notice that message form are empty and that smileys are not converted to images, but it is so simple to enable these features in the Plugins section of the Vanilla Dashboard that it would hurt to forget them. This is however a pity that the default textarea does not even have a toolbar with buttons for inserting and formatting the message you are writing. This might be solved in a near future, according to one Vanilla core developer. Tagging topics is really convenient, even if it also requires to activate the related plugins. Even if Vanilla's interface looks simplistic, you will find everywhere nice features or well organized menus, that do not bother the reading of a thread with flashy buttons. 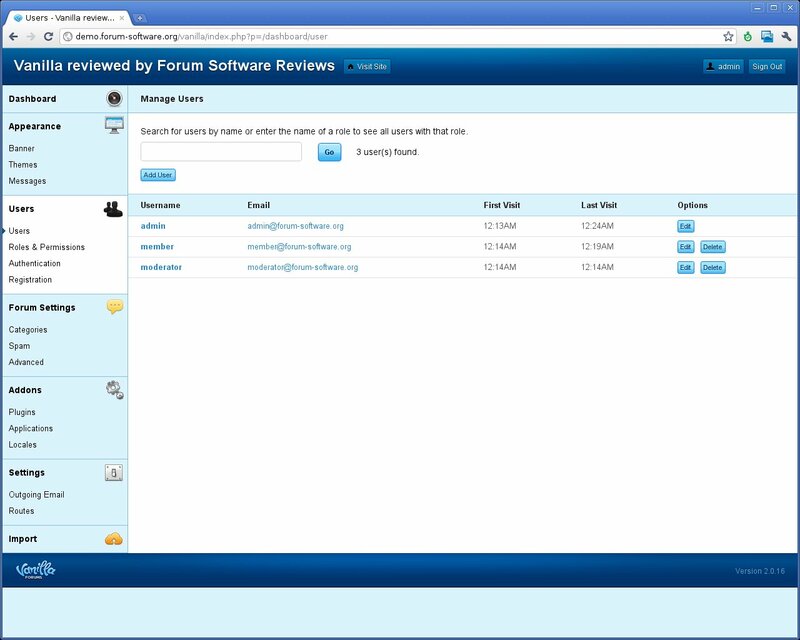 Tags can even totally manage your forum, as Forum Categories could be disabled in the administration panel. This way, new discussions always go to the main page, and members will organize them and bookmark them if needed. Message Rating is available in a module called Voting Plugin. Syntax Highlighting plugin, to highlight syntax of pasted source code. Quoting can be enabled with Quotes plugin. Private Messages use the same format as discussion, which is perfect. This way, you can easily discuss with persons in private, with the same layout that Vanilla uses for managing discussions. The My Discussions tab is really useful to see current discussion you are following, more particularly in a very active forum, where new discussion pop out every 10 seconds. URLs uses the same principle as Drupal, with a common parameter, which makes URL readable even if we are always requesting the same index.php script. By the way, activating friendly URLs is just a matter of enabling them in Vanilla, and configure your web server accordingly. If you are looking for who is online, there is a plugin for this. Some details about Vanilla Forums features regarding members. User Profiles are sufficiently complete, with an avatar, general information about yourself and a notification list, which is really similar to Twitter for example. You can indeed post their every information you want to share with people who browser your public profile. Moderation is quite complete as well, with specific user groups if you need to tweak a bit the organization of your forum. Administration is really intuitive and convenient. The Dashboard is just perfect, and the interface is absolutely clear. Hard to do better that what Vanilla developers achieved. Convert an existing forum to Vanilla Forums. The Import Tool is really useful if you need to export and move your forum back to a fresh installation of Vanilla. It even supports previous versions, which is always worth when you want (or have to) reinstall your webserver. Vanilla is able to limit the number of posts in time for users, which is really convenient to avoid your forum being filled with trash in one night. You can even define a spam block fixed time in which a fake user would not be able to post new messages. By the way, you can also setup CAPTCHA by linking your forum with a reCAPTCHA account (see User Registration Settings in the Dashboard). Secunia Advisories severity affecting Vanilla Forums. Secunia Advisories impact affecting Vanilla Forums. Plugins are the perfect part of Vanilla. 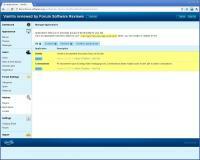 We would like to see the same in other forum softwares, because, really, this impressed us a lot. No useless configuration, no search in the Vanilla website directory, no comparison between duplicated modules. Everything is there, and even if the number of available plugins is not huge, it is already perfect to make Vanilla Forums competes other tools. Of course, you will always find someone to complain about duplicates, broken plugins and so on, but this is still acceptable as enabling/disabling them will never take long. Facebook, Twitter and Google Accounts are natively available as plugins to connect your forum to social networks. Vanilla Developers have also thought about an higher level after plugins, that they called Applications. This level could actually be considered as a super plugin, that could totally change the way Vanilla is working. Good examples are the Blog application or the Pages one. Finally, as Nabble is doing with its embeddable iframe, Vanilla, once the <Embed> plugin is enabled, is able to be integrated in existing forum softwares or websites, which includes Drupal, Wordpress, and even the hosted Blogger application! Custom Profile Fields are provided using the About Me plugin. Does Vanilla Forums correctly follow (X)HTML and CSS norms? 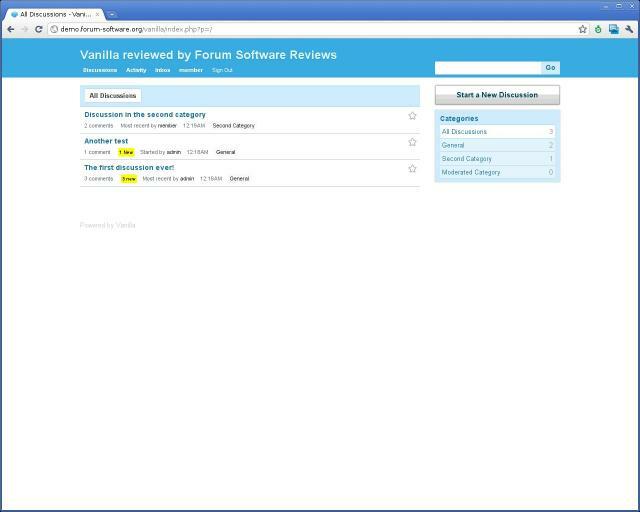 Vanilla is a way more innovative forum software in many domains when you compare it to traditional forums. 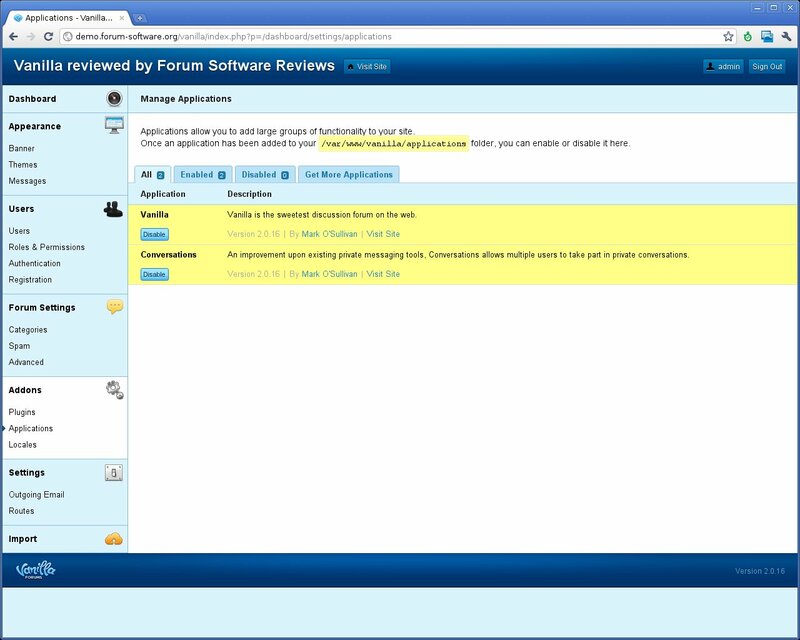 When we reviewed it for the first time (it was still Vanilla 1) we directly felt in love with the manner Vanilla was able to rethink what other classical forum software would copy without improving anything. Vanilla 2 is definitely following the same road, by, again, continuing to impress us in the way they introduce their new features. Ease of plugins installation, the <embed> mode, Vanilla Connect with big social networks (Facebook, Twitter, Google,...), hosted version of Vanilla, beautiful theme and simplicity are just small words that could convince you to test and use Vanilla for your community. To celebrate this great passage and ideas, the global Vanilla score has been increased to 9 out of 10! We only hope that pressed people won't ignore Vanilla just because it look too simplistic, because this is totally wrong when you extend it with tons of default modules. Congratulations again to the Vanilla team. Experiment the Vanilla Forums Demo. 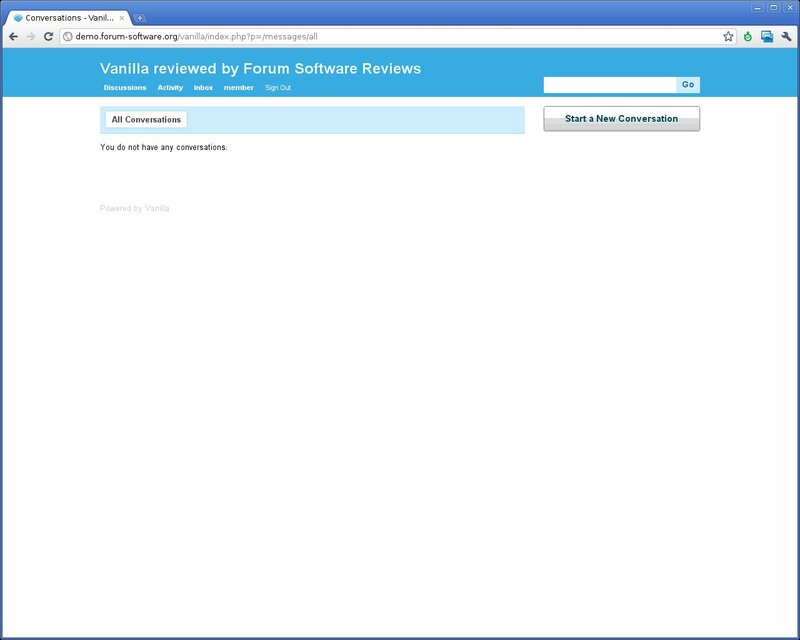 Compare Vanilla Forums vs PhpBB 3 vs Simple Machines 2. Ask your questions to the Vanilla Forums Community Forum. 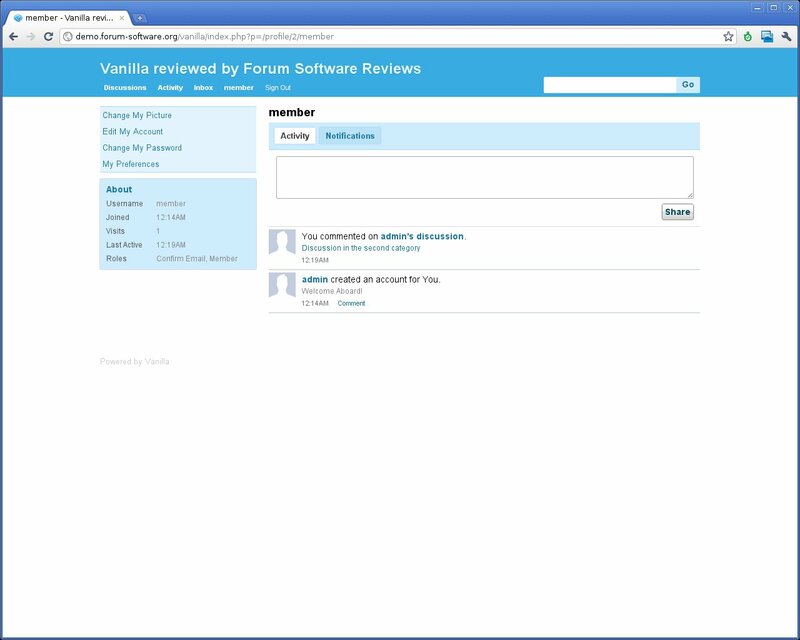 Get Users Reviews about Vanilla Forums and Share your experience. though it is userfriendly and quick to set up, if you're a developer your eyes will begin to water looking at the horrible code and unneeded complexity. I am not a developer but on the recent version, i found out customizing template and making other changes via code extremly easy and for any problem, their support was really good. We recently installed Vanilla 2 into our website. This was a gradual move from Simple Machines (with the old TinyPortal mod), to WordPress with Simple:Press forums. Handling forums with WordPress is a tricky subject, and there is no easy answer. Simple:Press was one of them, however the S:P forums are simply unattractive. We found that Vanilla was the answer for us. The installation was a breeze and the import of the S:P forum data was simple. We actually had it up and running in 30 minutes. Support for Vanilla is excellent, with developers responding to requests 7 days a week. One of the beautiful things about this forum software is the ability to customize it. The developers themselves say that they keep the design simple in order to make it easy to customize. Documentation is good, and the CSS is easy to play with. We were able to customize our forum to match (pretty much exactly) the theme and style of our WordPress setup. Many websites that include a forum look fractured on the design because the forum layout is full of ugly tables, lines and features. Vanilla lets you blend it in so that your website looks like a complete website and not a cobbled together setup. We love Vanilla! We are using it for our internal forum as well as our Minecraft community. Building plugins and themes is a piece of cake and can be done rather rapidly (which is a definite plus). It has only taken us a few days to gain full interoperability with our desktop applications as well as other 3rd party web products that we use. I really really wanted to like Vanilla, but ultimately had to choose MyBB instead. Vanilla does look better, and is easier to administrate (thanks to its simplicity), but is often broken. For example, one of Vanilla's big advantages is its social integration. However, Open ID doesn't really work, Google connect doesn't work either or is sketchy, and Twitter support was buggy. Plugins in general suffer from a significant amount of neglect (e.g. at the moment, there are two Poll plugins, but both are broken). Worse, the approval process for plugins is a great idea (the core devs are supposed to code review plugins and stamp good ones as "approved"), but in practice it often failed (e.g. this plugin (coded by one of the core devs) was approved, even though it didn't configure itself to run!). Vanilla has user-friendly URLs, and that's great, but only if you want to point to an entire thread. Individual comments lose the friendly URL of the thread and have an opaque URL with a numeric ID. Another issue that: if using HTML, Markdown, or BBcode with the default post editor, there are no formatting icons in a toolbar above the post editing area (!). I've never seen the lack of this basic feature in any ohter forum software, and one of the core devs just said it might be implemented in the future. All in all Vanilla is great, but my feeling was that the dev team (4 guys) was too thinly spread, and many issues I raised were left unaddressed. MyBB is designed with antiquated concepts, but a 2.0 rewrite is in the works, and it will use a web framework. This tipped the balance in favor of MyBB. I like Vanilla but I think this review is a bit excessive in its praise. Vanilla as a concept is great but in practice it still needs a lot of work. Many of the available plugins are created by third parties, are not verified by the Vanilla team, and are lacking functionality. Some of these third party plugins should obviously be core plugins supported by the vanilla team and distributed as default functionality. What surprises me the most is that until just now, no release of this software ever had basic email confirmation of new user accounts (functionality that just about every other forum software has had forever). I'd give it a 6 out of 10 and call it a project with a lot of neat features and future promise. Wow such a shame Vanilla is so underdevelopped in terms of functionality. Because it is clearly leaps and bounds ahead cosmetically (suits modern day websites), more than any other forum / BB I've ever seen. Check out this theme example for vanilla: vanilla theme: "fruit"
Vanilla is easy enough to set up, but really hard to customize once you've exhausted the Admin Panel (I had in half an hour). Changing links on the menu? Forget about it. Way too complex (I needed to edit a .tpl file related to the theme - what is this). Also, the amount of themes and add-ons available for download is quite limited. Vanilla looks nice and comfortable. However, it has many unneeded complexity especially for the admin panel. Such as, manage the user, rolls & permissions. I think it needs further improvement. Hey thanks for the great post. Very helpful I like the short question form. Very cool and a great way to interact with your reader. We have been using Vanilla for now 7 months. We like it for it simplicity. Not everyone needs all the bells and whistles. In fact, after 20 odd years of experience in IT I tend to judge software for what's not included, not for long feature lists. Nothing will ever be bug fee, and the most annoying bug in Vanilla is that notification emails about new threads or new contributions are sent out twice. However deep you dig to narrow down this problem, nobody knows the answer and the developers never answer to this point in their support forums. Apparently a long standing bug. I don't share the view from above about too complicated roles and permissions. You can't make it much more simple than that, unless you have a community where everybody is allowed everything. Other than that, Vanilla is clean and easy to use. Hi..can somebody tell me that what is the system requirement like OS,RAM capacity,Hard disk etc to install vanilla forum software in production? We signed up to the hosted solution for a monthly fee. Beware that Vanilla offers virtually no support despited claims that support is always available. The software looks great but support is really bad which makes one wondering whether it is worth paying over a hundred dollars merely for having a hosted forum solution. This would be a truly great product if the company started caring more about the clients. I have used the self-hosted version since Vanilla 1 and I could not be more pleased by the current version 2.0.18.8. Vanilla has come a long way. I have found it to be simple and easy to use and my community loves it. I have also got my company into using the hosted version. We have used it for several months, and except for a small outage (an hour at best), the hosted solution has been great. I cannot say they do not care about their clients, I have had the complete opposite experience.